On the third day of the conference on the rights of children and youth, participants from Kenya, Tanzania and Uganda listened with rapt attention as Emily Chan distributed and commented on educational materials on the rights of children and youth. Emily outlined her tips for making sure that one’s efforts get to the right people, using the most attractive and appropriate medium, and that they are understood by the intended audience. Each national working group brought its own samples, to compare and discuss. Much of the material prepared for youth in Ontario resonated with East African professionals working with youth in the justice system, in corrections, in probation services and state prosecutor offices. Piles of samples melted away faster than ice cream in the African sun. In the afternoon Ann McRae gave a presentation on the use of non-lawyers in service delivery in Legal Aid Ontaro’s environment. Each of the terms “paralegal” and “community legal worker” has a significantly different meaning in East Africa from the ways those terms are used in Ontario. Two of the three participating countries are discussing the issues associated with paralegal regulation. Conference participants echoed the concerns that drove the process of paralegal regulation in Ontario a decade ago: quality of work, discipline, restrictions on practice, educational processes. Almost all community legal workers in East Africa are volunteers. Most non-lawyers in the criminal justice system work for the state prosecutor or for Non-Government agencies working with accused or convicted persons. The term “paralegal” has a variety of meanings, which shift from one country to another. This adds to the difficulty of agreeing on who is to subject to regulation, and what level of education is required. Representatives spoke on the range of duties and roles to which the term “paralegal” is applied in their countries. They bemoaned the poor performance by some “bush lawyers”, which causes paralegals to be held in low esteem. They laughed over the anomalies in their own legal structures (some of which have Canadian parallels), and confusion which the word generates in their own law societies. 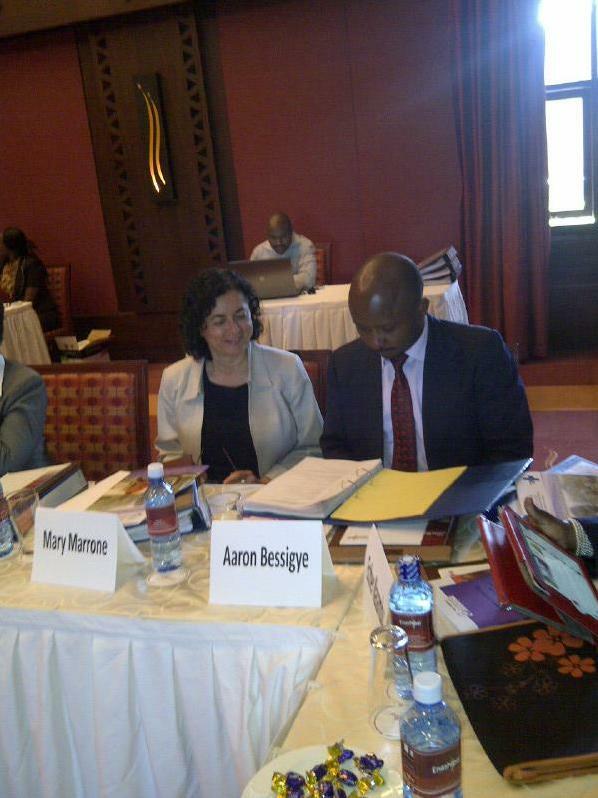 Resources for legal services are much more scarce in East Africa than in Canada. Funding sometimes comes from donor governments and foundations. Non-lawyers are an essential element in the effort to extend services to areas of deep need and to areas of remote geography in a cost-effective way. Primarily, non-lawyer services in urban areas serve to explain the law to accused persons, assist with bail, explain police process and the law, both before and after conviction. The Deputy Attorney General of Kenya closed the conference by conveying the appreciation and encouragement of the Attorney General, for the shared work of improving the welfare of children and youth. Ann McRae is the Director of Legal Services at the Rexdale Community Legal Clinic, Toronto ON, Canada. Mary Marrone is the Director of Advocacy and Legal Services at the Income Security Advocacy Centre, Toronto ON, Canada. Emily Chan is the Community Development Lawyer with Justice for Children and Youth, Toronto ON, Canada. Darren Thorne is the Canadian Project Director for Strengthening Access to Justice for Children and Youth in East Africa, Ottawa ON, Canada. Elizabeth Wilson is the Manager of Operations and Gender Programing with the Canadian Bar Association’s International Development Committee, Ottawa ON, Canada. Plenary sessions and working groups on Tuesday, day one of the conference, discussed the barriers and the possibilities for access to justice in East Africa. 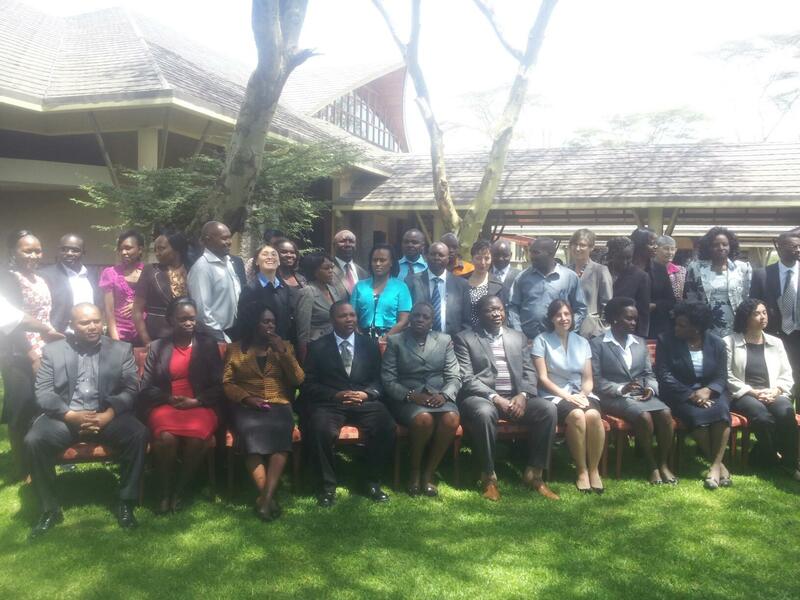 The participants, from the law societies and NGOs in Kenya, Uganda and Tanzania, compared their shared issues related to gender. Many of the topics might have occupied a whole session: marriages involving girls between 14 and 18, child sexual and physical abuse in rural areas where there are neither police nor legal assistance, crime among the growing population of street youth, legal supports and due process for these children when arrested, inadequate correctional services for youth, an absence in many places of separate detention facilities for women and girls. Judges and those from government ministries shared in the spirited discussions. The Canadian participants found that most of these issues resonated with the Canadian experience, although different in scale as well as in the resources to address the issues in Canada. Reporting on Gender Issues from Day One flowed over into Wednesday’s agenda. The persistent practice of female genital mutilation (FGM) was an example of an issue needing its own conference! Social and legal approaches exchanged by the East Africans, and suggestions for social change were both daunting and enlightening for the Canadians. We did not presume to enter this discussion but listened avidly. This issue is alive among populations recently migrated to Canada. As the East African participants emphasized, changes must come, but they will evolve over time, with education and community leadership from those with influence. East African organizations, both NGOs and governments, typically have very limited resources, but they have opportunities to partner with funding organizations from the family of United Nations agencies such as UNICEF. Also, there are foundations and government aid agencies in almost all developed countries (such as DFATD, former known as CIDA, in Canada). Support for this conference provided by Canada’s DFATD through the Canadian Bar Association means that the local law societies can gain tools for needs assessment, outcome measures and planning processes. Such skills and tools will ensure the effectiveness and impact of each development dollar brought by funders. Mary Marrone lead off the discussion of needs assessment, defining the goals and terms used, for those unfamiliar with conducting a detailed assessment of need. The local working groups then described how this plays out in their regions: How long will it really take to travel to each village? How and when can one interview the women if they are not expecting you, and they are in their fields doing farm work? How does one identify which local leaders, men and women, can provide information about children’s issues? When is it appropriate to send the adults away, and ask the children about their concerns? The depth and breadth of unaddressed social and legal needs could easily lead one to despair. The stories of sexual abuse and assault of children, as gathered by a modestly-resourced group in Uganda, and recounted by the conference participants, were only a narrow slice of a much wider socio-legal need. In the face of this, the commitment of the working groups to gather this data, to assemble it into persuasive reports, is impressive. They understand how necessary these data and reports are to lever systemic changes and funding for services. They also accept that access-to-justice projects cannot proceed everywhere at once, so they aim to make changes in installments: pilot projects to extend information and rights-based advocacy may lead to more wide-spread access to justice in the future. For some relief from the weighty discussions, the conference site offers unparalleled nature-watching. The air is filled with coos, whistles, warbles and shrieks. Large and tiny birds are walking around, twittering in the trees, and soaring overhead in dozens, maybe hundreds of varieties, from the tiniest finches to eagles, pelicans, storks and cranes. 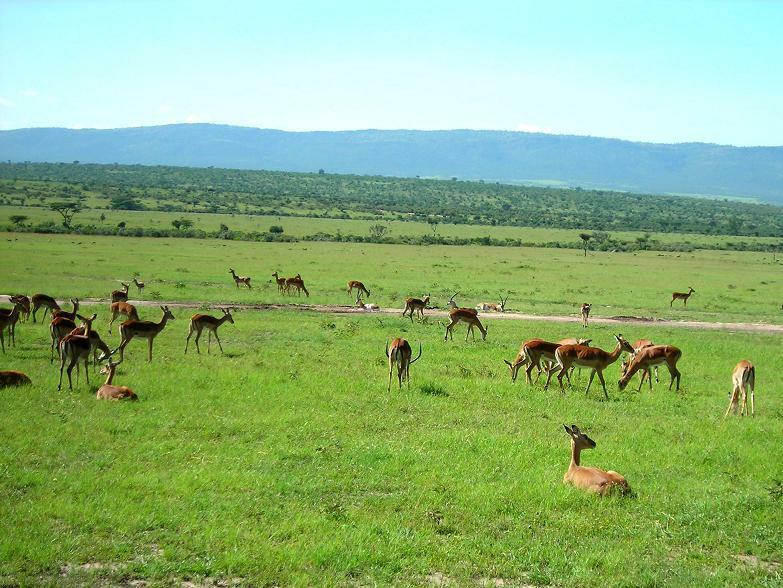 A small herd of waterbuck and a few gazelles and antelope wander through the grounds. A group of hippos comes ashore from Lake Naivasha daily (and nightly) to graze at the resort, to the fascination of conference guests. Mtaib Mtaib is the Chief Executive Office of the Zanzibar Law Society, Zanzibar, Tanzania. Joan Onyango is a Staff Lawyer with the Kenya Law Reform Commission, Nairobi, Kenya. The conference began on the bus trip along the rift valley: participants from East African countries had gathered with the Canadian visitors at the offices of the Kenya Law Society in Nairobi. Lively conversations had already begun before the bus was loaded for the trip to Lake Naivasha, the conference site. Legal aid here is largely provided by pro bono lawyers, or by non-government agencies (NGOs). The focus of this conference is the protection of the rights of children and young people in the criminal justice process, as well as other areas of law. What legal services are available are a combined effort of the bar, the governments and partner agencies. The result is a patchwork with many gaps, with great variation from one country to the next. For example, some “legal clinics” and “community legal workers” exist, but often not working with lawyers. Kenya has a new constitution as of 2010, and with that comes new social and political priorities. Efforts of projects like this one are needed to extend legal and constitutional protections to the most vulnerable. Today the East African working groups are reporting on progress so far in their respective countries (Kenya, Tanzania, Uganda), whether on law reforms, coordinated training for paralegals or access to government supports. Tomorrow Mary Marrone, Income Support Advocacy Centre, leads a discussion on needs assessment as an essential phase in any planning for change and improvement of access to justice. Later in the conference, Emily Chan, Justice for Children and Youth, will share techniques and best practices in public legal education on access to justice for children. A panel on the use of paralegals, on the third day, will give Ann McRae of Rexdale Community Legal Clinic (Legal Aid Ontario) an opportunity to compare the Ontario model with those of other jurisdictions. 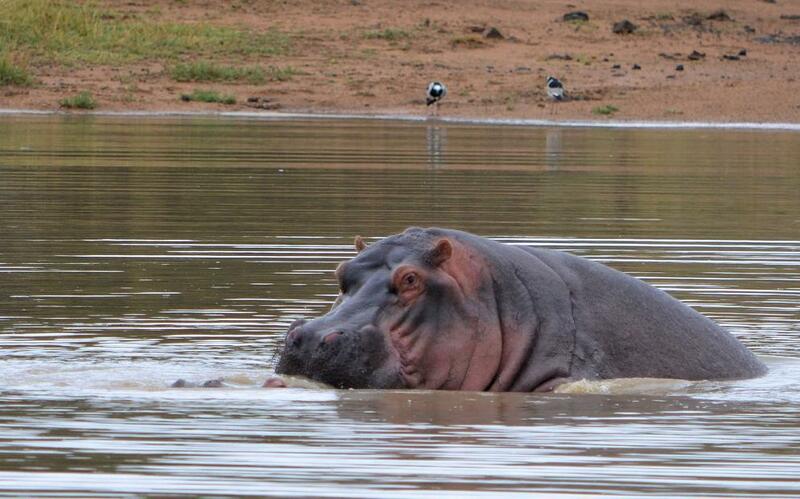 A visit to the conference grounds by three hippos on the first evening was a slight distraction. Everyone at Rexdale Community Legal Clinic is proud and excited that Ann is joining this international group of experts deliberating on Access to Justice for youth in East Africa. Access to Justice is a world-wide issue, and was a major focus of the Canadian Bar Association’s 2013 Canadian Legal Conference in Saskatoon, Saskatchewan. We look forward to hearing more from Ann in the coming days. Mary Marrone is the Director of Advocacy and Legal Services at the Income Security Advocacy Centre in Toronto ON, Canada. Aaron Besigye is an Advocate with the Legal Aid Project of the Uganda Law Society, Kampala, Uganda.